History: 60 year old male with shortness of breath. Unilateral opaque (“White Out”) hemithorax: Frontal radiograph of the chest reveals complete opacification of the left hemithorax with deviation of the trachea to the left. 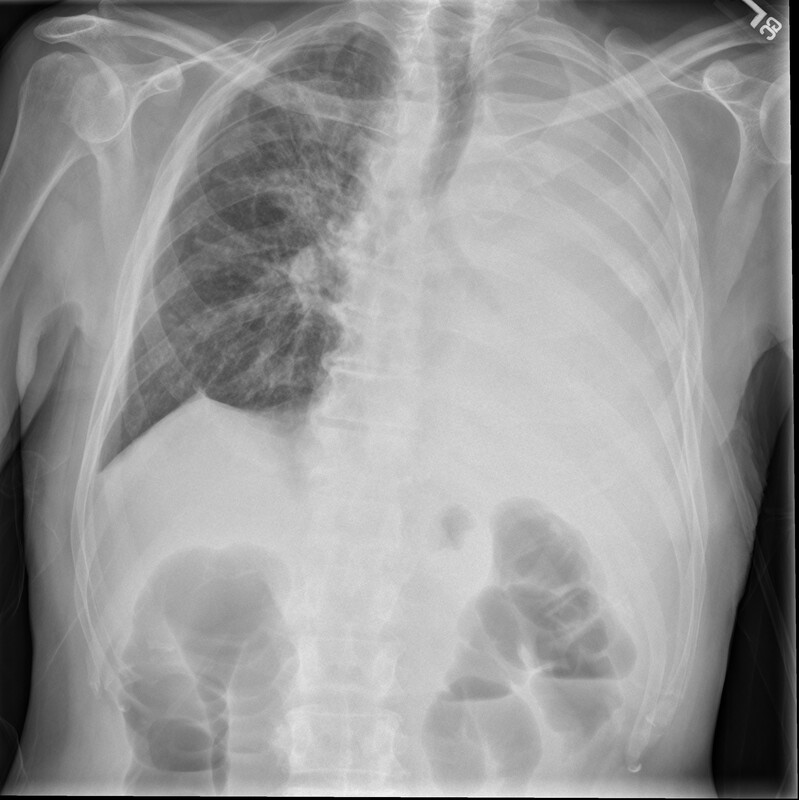 The differntial diagnosis for unilateral opaque hemithorax is broad, and includes large pleural effusion, empyema, hemothorax, complete lung collapse, pneumonectomy, community acquired pneumonia, bronchogenic carcinoma, pleural masses such as mesothelioma, and finally pulmonary agenesis. This patient had complete collapse of the left lung secondary to a large left hilar mass from metastatic renal cell carcinoma.